“eero” WiFi to the rescue. I thought this video was hilarious. I have tried everything in this video to make my WiFi better. I’m not really promoting the product here, but it does get high ratings. Check them out if you want. If you find that your WiFi signal is slow or non existent in certain sections of the house, you are not alone. The router and service you have may not be to blame, but understanding how WiFi works will help you improve the connectivity. Here are 4 things to keep in mind to improve the Wifi signal in your house. I also recommend 3 apps to help you measure and monitor WiFi. 3 Apps that help you read the signal strength of your Wifi, See the speed you can download and upload, and choose different WiFi. WiFi Manager – This app will identify all the available WiFi in the area and connect you if you click on it. iOS version click here. Speedtest – this app is a 3rd party company that illustrates the download speed of your internet and wifi service. It should match what you pay for from your provider 25/25 or 50/50 etc. Wifi Analyzer – lets you see the channel your wifi signal is on and this helps you determine if its a crowded space and should be moved. Perhaps your router just needs an update. Router manufacturers are always tweaking software to improve the performance and speed. Current routers have the update process built right into the administration interface, so it’s just a matter of hitting a firmware upgrade button. This is probably the single most important tip. Not all rooms and spaces are created equal. The fact is, where you place the router can drastically affect your wireless coverage. Just think “middle of the house an out in the open.” Don’t place the router inside a cabinet and out of the way, or right by the window where the cable comes in. A wireless router needs open spaces, away from walls and obstructions. It’s not just physical obstructions either; heavy-duty appliances or electronics running in close proximity can impact Wi-Fi performance. If your router has external antennas, orient them vertically to bump up coverage. Elevate the router if you can. You can mount it on a wall, or put it on top of a shelf or a table to get a better signal. There are plenty of tools to help you visualize your network coverage. The “frequency” refers to the bandwidth that your accessing. New routers generally have 2 frequencies which are 2.4GHz and 5GHz bands. If you have a dual-band router, you’ll likely get better throughput by switching to the 5GHz band instead of using the more common 2.4GHz band. If nothing else, you will likely encounter less interference from other wireless networks and devices because the 5GHz frequency is not as commonly used. Switching is quite simple. Remember when CB’s or walkie talkies were around and you changed the channel so you could hear other people, clearer, and be on the same channel? Well all routers are multichannel, so they can switch across different channels when communicating to your devices. You tend to use whatever the router default is, but if neighboring wireless networks are also using the same channel, then you are going to encounter signal congestion. Once you know what channels are in use, pick one that’s less congested and manually switch your router to broadcast on that channel. You can find this setting in your wireless network’s administrator interface. You will generally find the option under the basic wireless settings category. 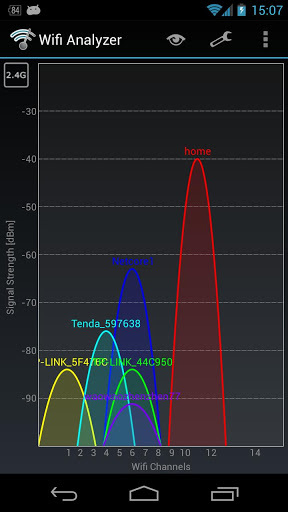 These are the 4 main areas to concentrate on when trying improve your home Wifi signal. Another important aspect is to actually boost the signal with WiFi boosters and extenders. Visual support for the tips above. UPDATE: Now get the Dot for $39 at Amazon. Who is running the household? Your husband? The wife? The dog? No – it’s Alexa. Meet the Amazon Dot and Amazon Tap. Amazon introduced two more devices to the Echo line, that are designed to control and assist in people’s homes and lives. All through voice activated commands. The two products unveiled Thursday are babies of Amazon’s Echo, called the Amazon Tap and Echo Dot. They cost less than the $180 Echo and offer different features and functionality in an attempt to solidify Amazon’s Internet-connected microphones in your home. The line-up is now 3 strong and each has different functionality in your household. 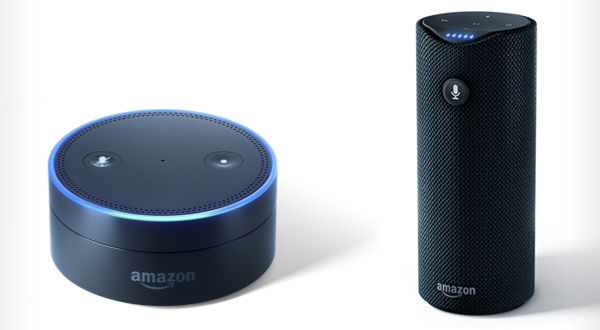 The Dot is the mini version of the regular Echo that looks like a hockey puck. But it includes a big new feature that the first Echo model doesn’t have: support for external speakers. While the Echo offered premium sound quality for a device its size, it was unable to connect to other speakers you own via line out nor bluetooth. The Echo Dot is now able to do both. The $89.99 price-tag of the puck-shaped Amazon Echo Dot is much easier on the wallet than the Echo proper’s admission fee of $180. The Amazon Tap extends the company’s embrace of the bluetooth capability. 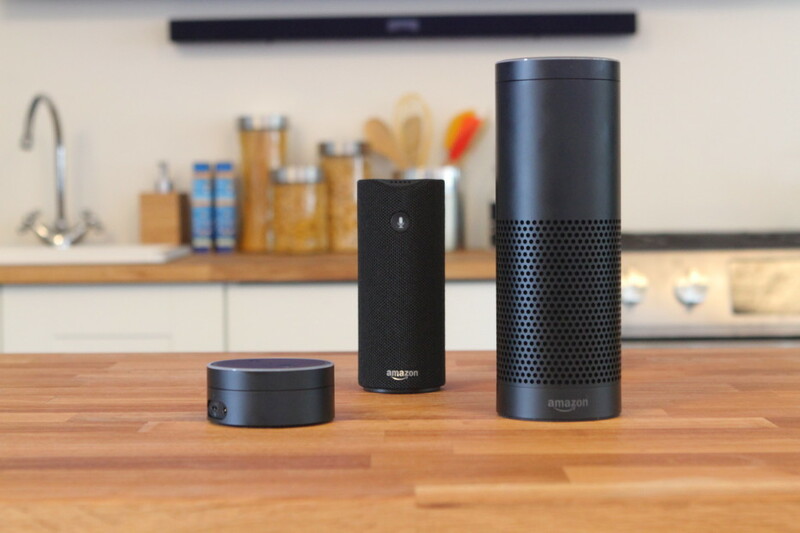 The Tap device is similar to that of speakers like the Beats Pill or UE Boom, but comes with Alexa support. 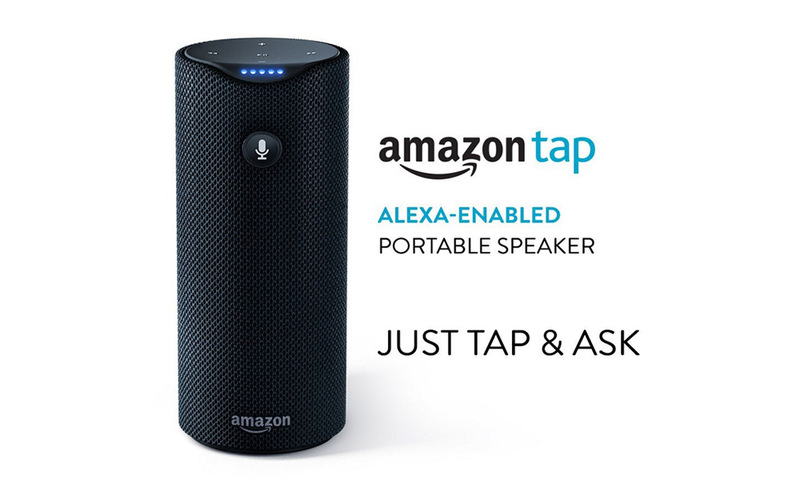 Unlike the Echo Dot that allows users to call out to Alexa, the Tap requires you push a button to summon Amazon’s assistant. Using Alexa will require that you connect the device to Wi-Fi as well. Like the former two Echo devices, the Tap provides support for Spotify, Pandora, iHeartRadio, Amazon Music and TuneIn, but notably lacks support for Apple Music. The speaker’s battery lasts for 9 hours on a single charge, according to Amazon. The $129.99 price tag is more expensive than the Dot, but less than the Echo. The interest in smart homes appears to be rising as more people become enamored with their smartphones. 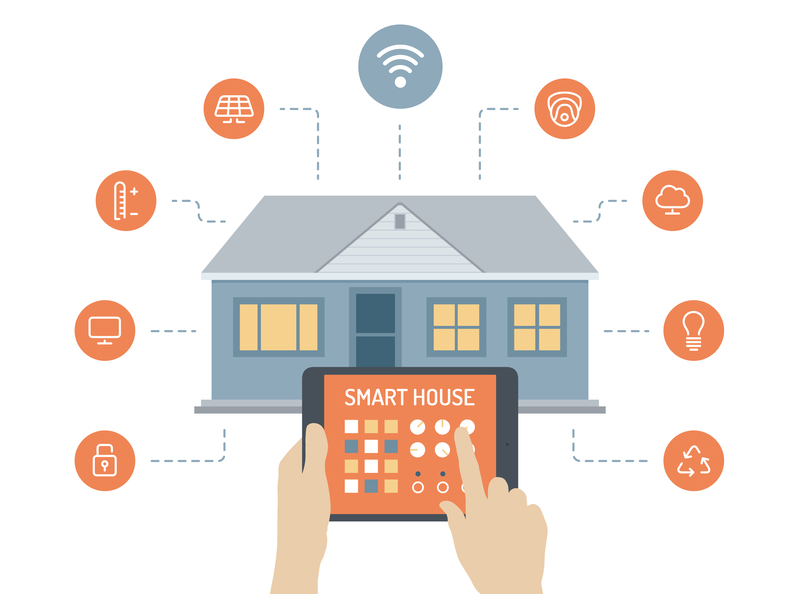 A recent online survey of more than 4,600 adults in the U.S. by Forrester Research’s Technographics found 57% of them either had used or were interested in using a smart home device. All three provide the ability to play music off of Spotify or Pandora, connect to Phillips Hue, summon Ubers and more are all available to every one of Echo users. And most recently, Amazon announced coming support for Nest and Honeywell thermostats, controlled by voice via the Echo. The competition for controlling your home is becoming very competitive. Alexa is competing against other voice-controlled services such as Apple’s Siri, Microsoft’s Cortana and Google’s search engine that are built into the operating systems of smartphones and other devices that do more than the Echo. Amazon hopes to beat Google and Apple in their battle to build hubs in “smart” homes that are being furnished with connected appliances, electronics and other Internet of Things. 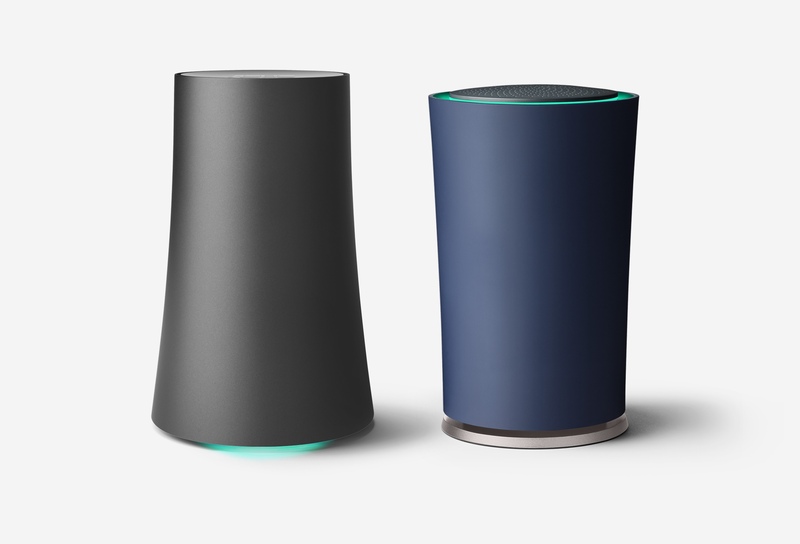 Googles OnHub is essentially a router but is poised to be much more. Google states we’re streaming and sharing in new ways our old routers were never built to handle. But you can use the Google On app to troubleshoot at home or away, see who’s on your network, or enable a friend to help you remotely. At the end of the day these are cool devices. The functionality increases day-by-day since Alexa learns and becomes intuitive by your conversations. Ironically, we buy devices to control our other devices. It’s starting to feel like I Robot is entering the game.